Dive into Life with complete abandon! Don’t approach the future with fear. Many a time, thanks to the blows Life would have dealt you, you may choose to tread warily, cautiously. This innate human nature to be forewarned sometimes evolves into fear. Fear breeds insecurity. And that leads to worry. How can you deal with what’s coming up in your Life when you are not even present – in the present moment? A friend who had a terrible experience almost losing his Life to a chronic gastro ailment refuses to experiment with any new cuisine or with anything other than home-cooked food. His entire day is packed with planning what to eat – and importantly, where to eat. Every moment that he is awake he is fearing a relapse of his ailment. He is petrified of dying because of which, I suspect, he has stopped living and instead is merely fearing death – 24 x7. Life’s inevitable situations are agreeably numbing. They just leave you scarred and socked. But don’t let a past experience prevent you from living what you are endowed with right now or prevent you from approaching what’s coming up, freely. Anchor in faith. I am not talking about faith in an external God. I am saying that you must believe that if you have been created, you will be cared for, provided for and taken care of. Also, know that if you have lived through your worst times, then you are ready for anything. And believe me when I say that what you fear most never happens. And if it is death that you fear, then that’s foolish. Because if you were to die, you would not even know you are dead. Someone else will have to be called in to certify that you are dead! 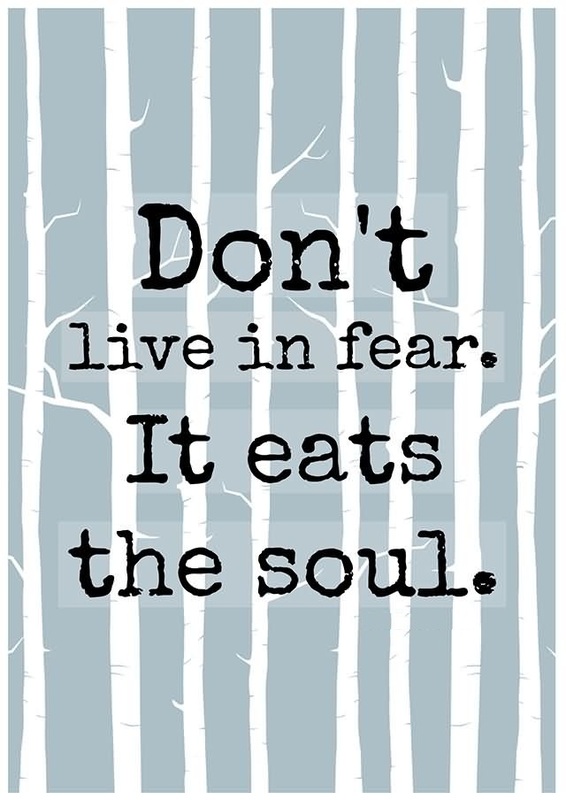 By letting fear get to you, you are losing Life as it is happening. Going through challenging times IS Life! While planning is important and we should all work towards higher fiscal and physical efficiencies, we must also understand that Life’s Master Plan is above all else. And when Life happens, you better be present. 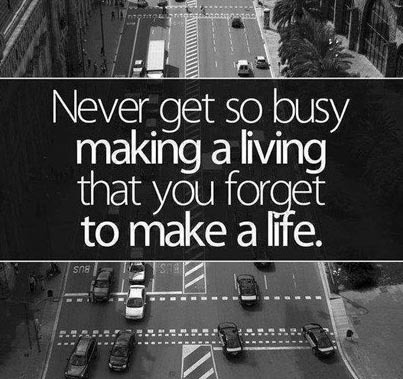 If you are busy planning, fearing or are swamped in the past or worrying about the future, you will miss living. And when you think you are ready to live, it’s already too late for the time to die, to depart has come! Remember: Life is a bunjee jump; dive into each moment with complete abandon, in a total let go! Every moment of Life is a leap of faith. Either you can let the fear of the unknown cripple you or you can anchor in faith and know also that during the course of your jump, even as you think it’s all over, you will either be given wings to fly or a hand will haul you up! Author AVIS ViswanathanPosted on August 29, 2015 March 14, 2016 Categories Art of Living, Bunjee Jump, Death, Fear, Inner Peace, Intelligent Living, LiveLeave a comment on Dive into Life with complete abandon! Don’t measure your Life in terms of success or defeat, asset value and brand value or on what people – including the media – have to say. Nothing matters in the end; except whether you lived each of the moments you were alive and except the lives you touched! This morning’s Economic Times had a story on Indian cricket’s most successful captain, Mahendra Singh Dhoni. Written by Ratna Bhushan and Ravi Teja Sharma, the story (“Is Brand Dhoni on the wane?”) seeks to analyze if Dhoni’s appeal as a brand endorser is under threat and if it is worth betting on post the ban on Chennai Super Kings’ from the IPL. Nothing wrong with the story per se given that ET is a business paper and they have the need to comment on subjects such as brand value and asset value. But there’s a naïve perspective, in fact an avoidable opinion, that the story plays up. It reads: “Dhoni was listed by Forbes in 2014 as the world’s fifth most valuable sportsperson brand, valued at $ 20 million. And only last week, he was named as the world’s ninth most marketable in a study by London School of Marketing. But can this change? It can.” I infer the statement to mean that if you thought Dhoni was invincible, infallible, indispensable, think again; because his brand aura is waning with his poor ODI performance as captain, with CSK in trouble and with his retirement from Test cricket. My point is – whether any of the reasons Bhushan and Sharma attribute to Dhoni’s dropping brand value are relevant or not, the irrefutable truth about Life is that what goes up has to come down. Such is the nature of Life. 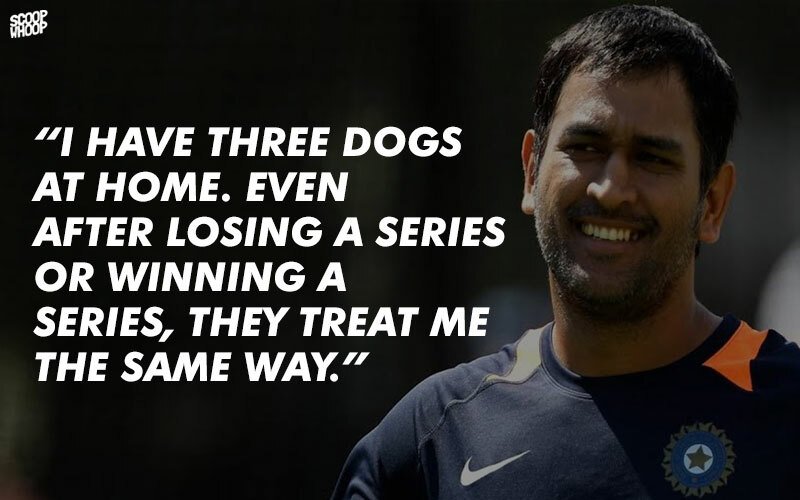 The question whether someone’s position in a given context (in Dhoni’s case it is his supremacy in the game) can change or not is both irrelevant and naïve at the same time. Of course, all Life is about change. And nothing lasts forever – including the social definitions of success or failure. Mercifully, the Dhoni we know is the man he is. He is unlikely to be bothered by the ETanalysis. Yet, I find so many people grieving over what other people have to say about their lives. They put on a mask and pretend to be living a Life to contend with social and peer expectations than to live fuller, wholesome lives. They work overtime on how they are perceived than how they simply are. So people suffer bad marriages because they have to protect their social identities. They get stuck in lousy careers because the money is more important than the quality of work they do. 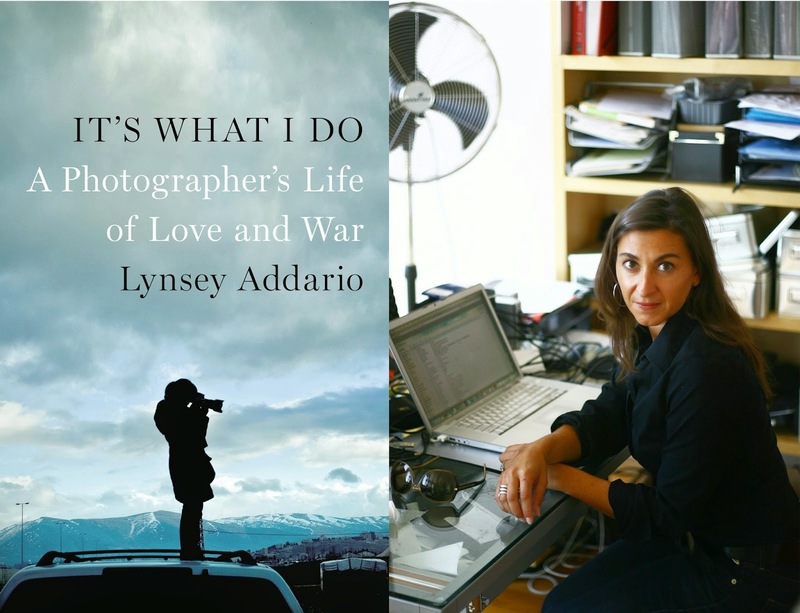 They work overtime, often vainly, to look presentable and appear good on Page 3 or on TV, while within them they are rotting – feeling empty, lost and unwanted by their immediate circle of friends and family. All of this is wasted, misplaced effort that only accentuates personal suffering. Remember this: your Life will mean nothing to you when you are gone. You can’t take anything with you when your time here runs out – not your money, not your assets, not your memories, not your family and definitely not your rewards, recognitions, media stories and public opinion. What really matters are two things – First, how did you live your Life? Did you live it fully or did you merely exist? And second, did you do work that touched people’s lives and made a difference? When you believe you lived all the moments of your Life fully, when you believe you touched even one Life in your lifetime, then, you can say your stay here has been meaningful. Only then you can say your lifetime mattered. Else, it was all fluff. Before you know it, it’s gone with the wind! Pooh! So, drop all pretentions. Get real. Let people say what they want to and let their opinions be where they are. You simply carry on living – being who you are and living the Life you love living! Are you taking advantage of the time you have here? Actually, the choice to live – and not to exist – is a no-brainer if you keep reminding yourself that “you live only once”! And that indeed is the problem with most of us. We go on postponing the Life we want to live by kidding ourselves with our earning-a-living logic: the family has to be provided for, kids have to be schooled, raised and sent to university, retirement has to be planned and saved for … The list of things to do, to prioritize, over living a full Life, is endless. This is why so many of us feel that our lives are incomplete, listless and monotonous. My wife and I have been, since January this year, running an Event Series in Chennai called “Follow Your Bliss” (inspired by Joseph Campbell’s famous thought/quote) which celebrates people who have had the courage to break free from “financially safe and secure” careers to do what they love doing. Almost everyone who attends this Event Series concurs that they are keen to do “something more meaningful” in their lives. But few actually take the first step. One gentleman, in his 50s, who quit his 26-year run with the IT industry last month, told us: “It had to happen. I realized that I had to give up running on the corporate treadmill if I really wanted to get some place else in Life. And I am not getting any younger either, you see.” I am sure you too agree with his view here. Indeed, Life is a gift. And you should not waste it. The way to use this gift – effectively and efficiently – is to take advantage of the time you have on the planet, doing what you love doing. That’s the only way to live a Life of meaning and happiness! Author AVIS ViswanathanPosted on March 10, 2015 March 14, 2016 Categories Bliss, Don't Exist, Follow your Bliss, Happiness, http://schemas.google.com/blogger/2008/kind#post, Inner Peace, Intelligent Living, It's What I Do, Joseph Campbell, Live, Lynsey Addario, TimeLeave a comment on Are you taking advantage of the time you have here? Dealing with death requires a deeper understanding of Life – through an awakening from within. Our most normal reaction as children to death is total puzzlement. When we asked someone in the family why someone is ‘not waking up’ or ‘not coming these days’, we were told ‘the person has become a star in the sky’ or ‘gone to God’. Therein begins our misunderstanding of death. Slowly, as we grow older, while we begin to appreciate, albeit subconsciously, the certainty of death, and its tendency to arrive unannounced, we loathe it, we fear it. Anything that we fear will torment us. And death is no exception. A friend passed away yesterday – consumed by cancer of the stomach. He was in his late forties. Seeing his picture in the obituary of The Hindu this morning, an eerie feeling crept into me. Is this it, I wondered. One day, you are there; and the next day you are gone? If this is an unchangeable reality, an eventuality, about Life, why and how is it that some are able to handle death, when it comes calling in their families, calmly while some others suffer endlessly in sorrow? All desires will bring agony when they are not met. You ask for a cappuccino in a restaurant and you get an espresso instead. You are angry. You want a raise. And your boss says no. You are angry. In the case of desires such as the cappuccino and the raise, your anger__and resultant agony__may result in your desires being fulfilled. But let us say you live in Chicago and you desire that there be no winters? Or you live in Chennai and desire that there be no summers? Is there any point in having desires that are NEVER going to be fulfilled? To have a desire that death must not visit you, your family and your social circle is meaningless, absurd and sure to cause you a lot of suffering. Instead of fearing it, accept, embrace and welcome death. This is the only certainty that Life can offer you. The only guarantee. That you will die. So, what this knowledge calls for is celebration. Not grief. 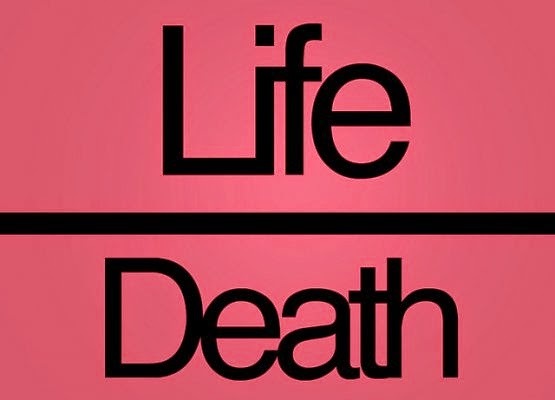 Each time you encounter death around you__to someone you knew, or knew of, or just heardabout it in the news__remember that it is Life’s way of nudging you awake, to remind you how precious, how fragile and how impermanent your own Life is. It is a wake up call to live fully and intelligently. We will do well to know that, as departures keep happening in our lifetime, we are all in the same queue, and until our time comes, we must live, share, love and serve. This is what I have learnt from my dear friend Ejji Umamahesh. I got to know Ejji providentially! I used to write a weekly column for The Indian Express (now The New Indian Express) called “Positive Signs”. I shared inspiring stories and perspectives from my experiences through my column. Ejji, as I was to discover, was an avid reader of my column. One day, almost 12 years ago, I received an email from him. He introduced himself as a “retired rat race runner” – and that was it, we became, and have remained, great friends ever since. Ejji started his career as a toilet cleaning supervisor at the once-iconic Safire Theatre, in what was then Madras. In 1970, he set up Ejji Maintenance Contracts, the first building cleaning service company in India. A year later, he founded Ejji Domestic Services which offered on call services of electricians, carpenters, plumbers and such at home, which again was the first of its kind in India. In 1991, Ejji “quit the rat race” because he had wanted to “earn a living” for only 20 years of his Life. Ever since, Ejji has been living his Life, “doing only what he wants and only when he wants to do anything”. Right now, as you read this, at 65, Ejji is driving through India, capturing the “The Idea of India”. He is on the journey, aptly called Highway to Swades, with three other like-minded seekers – which covers 20,000 km, over 55 days, traveling the entire east coast of India, the North-East, the Hindi belt of Bihar and UP, going high up into Himachal, through Jammu & Kashmir, down through Rajasthan, Gujarat, Maharashtra, coastal Karnataka, Kerala and back to Chennai! Ejji is a collector of vintage cars, loves car racing (he is the Deputy Secretary, Formula 1 Indian Grand Prix), is a theatre enthusiast and has even done a cameo in Mani Ratnam’s ‘Aaytha Ezhuthu’! 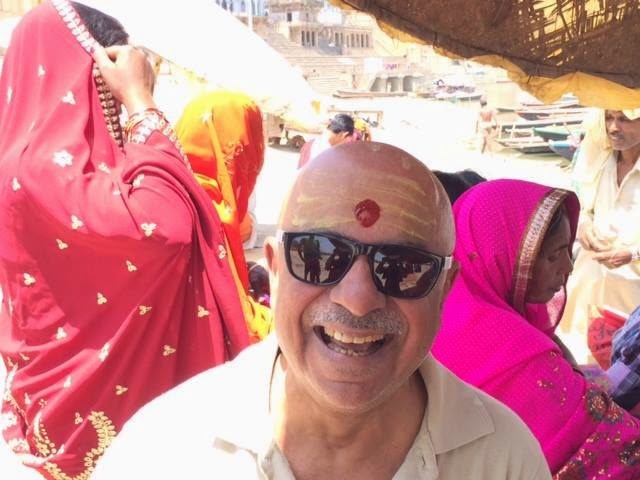 Ejji, to me, is the quintessential explorer – always experiencing Life by living it to the fullest. However, since 2011, he calls himself a “congenital sybarite” – a sybarite is one who is self-indulgent in their fondness for sensuous luxury!!! That’s Ejji, Unplugged, for you!!! He’s never in one place – peripatetic as they say – having been at Katchal, one of the Nicobar Islands in India on January 1, 2000, to witness the “millennium sunrise” to traveling to most (often lesser known) parts of the world and to currently picking up the sights, sounds, smells and voices of India in this high-voltage election season. I believe the greatest lesson anyone can draw from Ejji’s Life is to live. Not necessarily the way he has lived. But to live Life the way you want to live. Most of us postpone doing what we love doing for social, financial, career or family considerations. You can postpone something if you have a lot of time. But how do you decide or know how much time you have left to live? With each moment that you choose to do what you don’t love doing – because you imagine you have no choice but to do it – you are losing yet another moment to live your Life. So, postponing living – the way you want to live your Life – is not an intelligent thing to do. Not all of us may succeed in drawing a line saying enough of “earning a living” – now, let me just live! But we can make a beginning – in doing at least a few things each month, each quarter and each year. Living, like existing, is addictive. Once you start enjoying living a full Life, then nothing else will matter. You will then realize how futile and sinful it is to waste a precious gift called Life by merely “existing”!